While we were looking through papers for our university project a paper done in 2016 by an MIT student to use gravity instead of motor to power the elevator and generate power out of it. We had an idea! Why can't we modify the same concept to use it for water pipeline systems? It will control the pressure in the water while generating power. 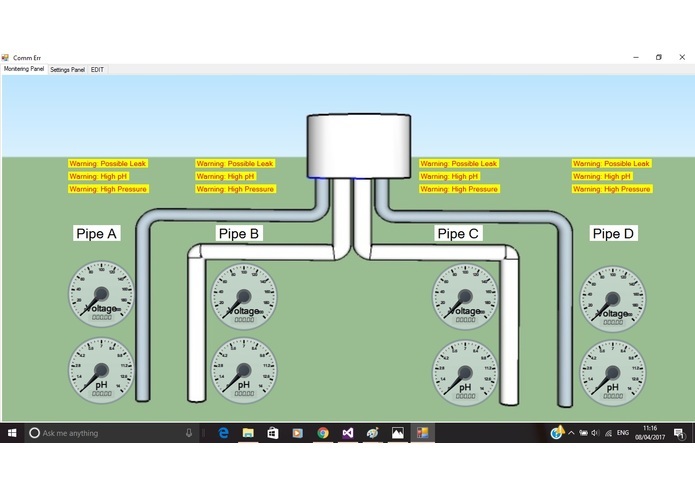 It uses both the motor and other sensors (pH Sensor,Temperature Sensor, etc) to detect any problems with the pipeline including leakages and contamination of the water. We hope to see the project become a reality as we believe it has the potential to solve a number of real-life on-going problems. It is already completed and operational only requiring further sensors to be connected as per the user demand. This project targets all fields of the competition.